Cool off from Taipei's heat with icy desserts from this popular shop! Smoothie House No.2 is one of the best known sellers of mango shaved ice in the entire country! Klook Exclusive: Discounts for the top-selling mango shaved ice and the mango ice + cakes combo! 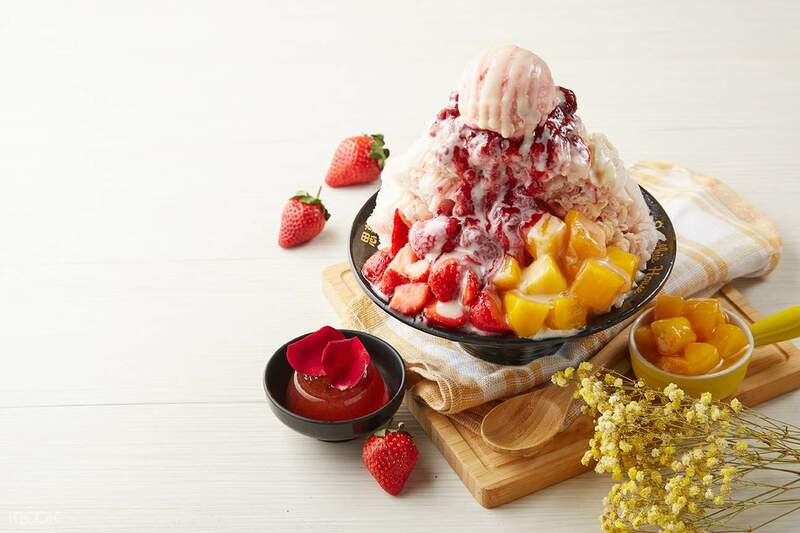 Beat the Taipei heat with these ice-cold desserts from Smoothie House in the busy Yong Kang Street, a new store in the area that quickly became popular for their delicious mango shaved ice, recommended by CNN as one of the must-try food items for travelers to Taiwan. 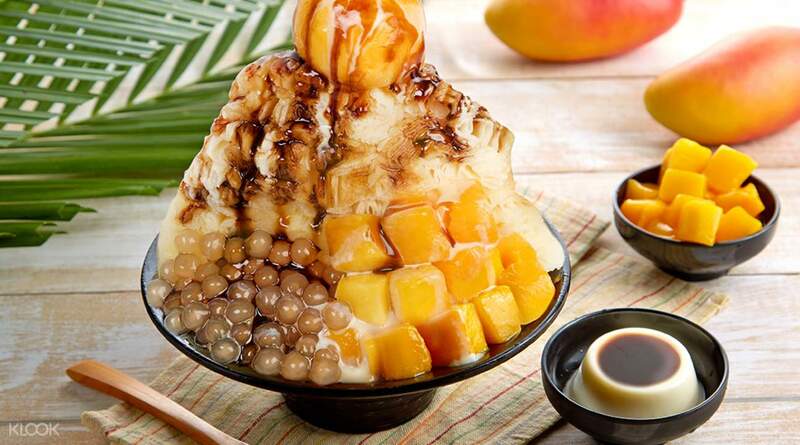 Each bowl combines finely shaved ice, condensed milk, and fresh mangoes from local sources that bring out the true taste of the tropics with every bite that you take! Top it off with a scoop of a low-calorie mango sorbet if you're still craving more of it, or go for some silky-smooth panna cotta for a different taste and texture. Smoothie House also sells a variety of other desserts for your sweet tooth, including tasty and refreshing smoothies and even strawberry sorbet. Book through Klook and get exclusive discounts to the super-size mango snowflake ice and the mini-sized snowflake ice+mango cakes combo! 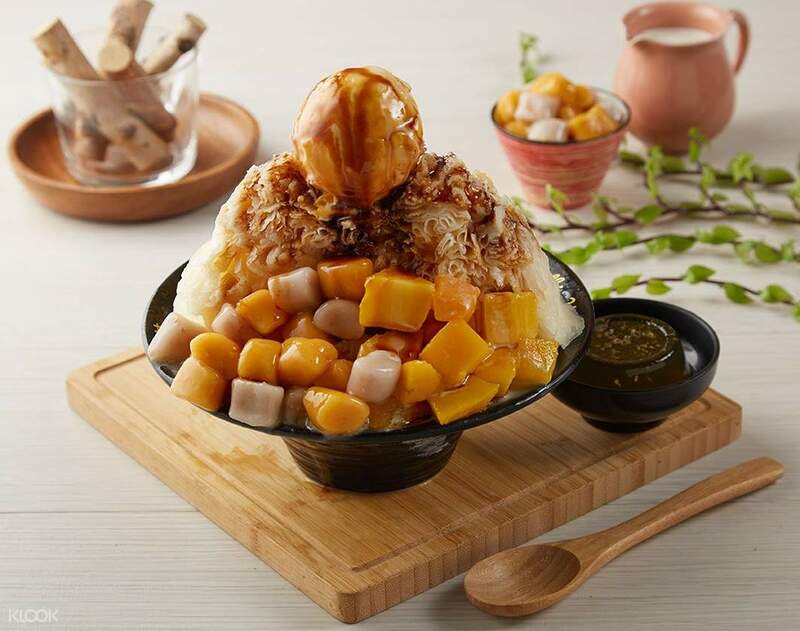 Book through Klook and get exclusive discounts on the Mango Snowflake Ice with Taro balls! Take a bite out of the refreshing Strawberry with Lychee Snowflake Ice - a delicious treat for any season! Smoothie House No. 2 is more spacious than the other branches in the area, making it an ideal place to visit if you want to try this tasty treat! We really had fun and enjoyed ourselves during this experience. The dessert was one of the best mango smoothies I have had in my life. In addition, the staff was polite to our during our order. Next, the portion of the food was very generous and well-spent. I would recommend This to any travelers who are traveling to Taiwan. We really had fun and enjoyed ourselves during this experience. The dessert was one of the best mango smoothies I have had in my life. In addition, the staff was polite to our during our order. Next, the portion of the food was very generous and well-spent. I would recommend This to any travelers who are traveling to Taiwan. You need to locate the other branch to claim the klook voucher. The portion was huge and is good for sharing. It also tastes really good especially when the weather is warm. You need to locate the other branch to claim the klook voucher. The portion was huge and is good for sharing. It also tastes really good especially when the weather is warm. Super big servings! 1 order is good for sharing. Easy to redeem though its hard to communicate with them as they cant understand us. hehe.. It is close to train station. Super big servings! 1 order is good for sharing. Easy to redeem though its hard to communicate with them as they cant understand us. hehe.. It is close to train station. Very nice and delicious. Portion is good for 3 people. 4 people is fine too. Redemption was fast and easy as well. Mangoes were ripe and nice. Very nice and delicious. Portion is good for 3 people. 4 people is fine too. Redemption was fast and easy as well. Mangoes were ripe and nice. The smoothie is so delicious! We went there almost daily! And with klook app we were able to save a bit unlike buying there directly (220NTD). Overall, we were satisfied with what we bought. The smoothie is so delicious! We went there almost daily! And with klook app we were able to save a bit unlike buying there directly (220NTD). Overall, we were satisfied with what we bought. definitely worth a try when you visit taipie. They have a generous serving. we were not able to finish ours as if was too cold at that time but the taste was superb. you could save a penny when you purchase it via klook..Please be mindful that you need to go to the second store it's not far from the first store though and it's more spacious there. Just look for the tenren tea store then walk for a minute or two and you will reach the 2nd store. definitely worth a try when you visit taipie. They have a generous serving. we were not able to finish ours as if was too cold at that time but the taste was superb. you could save a penny when you purchase it via klook..Please be mindful that you need to go to the second store it's not far from the first store though and it's more spacious there. Just look for the tenren tea store then walk for a minute or two and you will reach the 2nd store. We visited Taiwan last May 19 and the weather is quite hot and almost at the same temperature in the Philippines. I have already booked in advance for this before our travel. When I saw it here in klook, I was curious about it because it's the bingsu of Taiwan. I'm kinda fond of eating Korean desserts, so at least I can try Taiwan's very own bingsu. I just ordered only one Super Mango Snowflake Ice with Sorbet, for me and my mom. For us, it was a lot. The serving was like it's good for 3-4 persons. It was perfect for a hot afternoon weather and it was refreshing. We visited Taiwan last May 19 and the weather is quite hot and almost at the same temperature in the Philippines. I have already booked in advance for this before our travel. When I saw it here in klook, I was curious about it because it's the bingsu of Taiwan. I'm kinda fond of eating Korean desserts, so at least I can try Taiwan's very own bingsu. I just ordered only one Super Mango Snowflake Ice with Sorbet, for me and my mom. For us, it was a lot. The serving was like it's good for 3-4 persons. It was perfect for a hot afternoon weather and it was refreshing. Easy to locate. Just 5minute walk from Dongmen station. I had Super Mango Snowflakes with Sorbet and it taste reaaly good. The shaved ice smoothly melts in your mouth and the amount of mango is very generous. A must try experience. Smoothie House staff not aware on what to do with the voucher. They politely apologise since they need to asked and call some people on how can I redeem it. They're still kind though. Still a great experience. Easy to locate. Just 5minute walk from Dongmen station. I had Super Mango Snowflakes with Sorbet and it taste reaaly good. 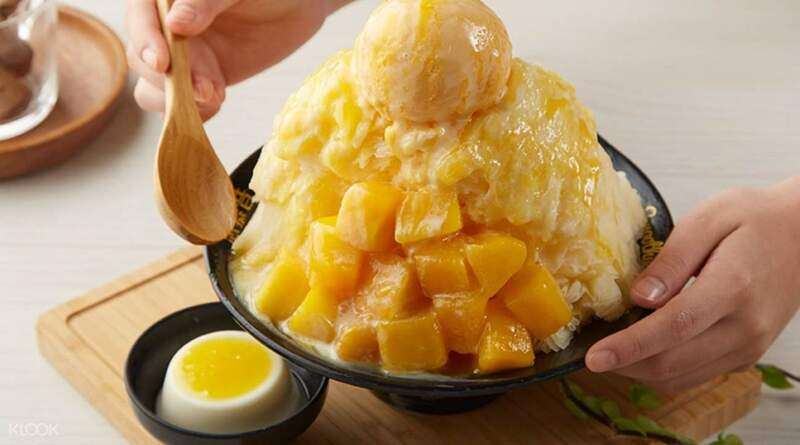 The shaved ice smoothly melts in your mouth and the amount of mango is very generous. A must try experience. Smoothie House staff not aware on what to do with the voucher. They politely apologise since they need to asked and call some people on how can I redeem it. They're still kind though. Still a great experience.